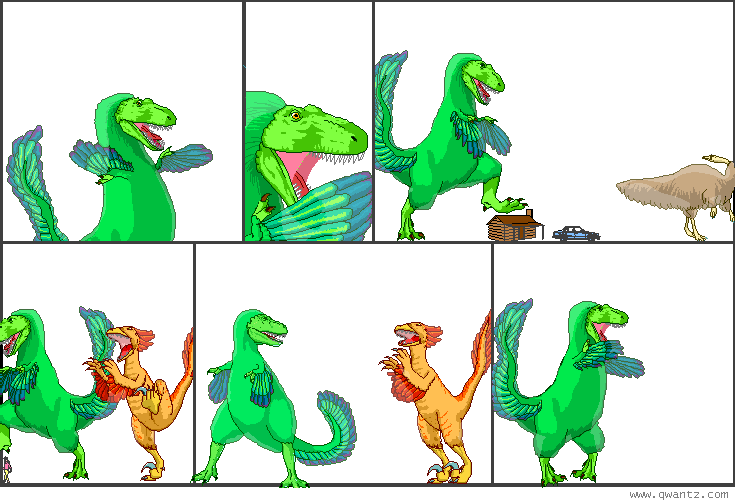 Dinosaur Comics - August 21st, 2007 - awesome fun times! August 21st, 2007: TCAF was basically the best convention I've ever been to. I rate it: ULTRA FUN TIMES!! You should come when it happens again, in two years! Isotown is a great comic unlike any other where you get to watch a pixel town get built up, building by building. All the art is done in Paint and it's really nice. There's been a small three-dimensional (!) arc about a man jumping off a tower, and in the climax, T-Rex showed up to rescue him! Way to go, T-Rex! You stepped on a dude's car.